You may think I’m about to contradict myself, given I came 5th at Maverick Race Silva Dark Series Hampshire at the weekend. As results go, it’s my second best finishing position since I was a teenager – winning a college 5K in a an Elf suit when I was 17….. oh yes, it happened! Keep to the plan – don’t run scared! I entered the race thinking if I stick to 7min/mile, I would be able to last the 17km/10.8 miles and place reasonably well. I have aspirations to be at the front, but my training isn’t there yet, nor my commitment at times. During the day, checking pace is easy and you are used to how things look/feel under certain stress loads. Cloak everything in darkness and things change. I ran what I felt was fast but comfortable, with the first split clocking 6.29min/mile. This was followed by 6.24, 6.33, 6.35….. I was moving way too quick for my current ability. Yet, I carried on, worrying about dropping places and feeling like I was in control. Come half way, bang, I’m not in control. Mile 8 7.17, 9 7.13, 10 7.12. Clawing time back but suffering heavily in the process. My average was 6.49 min/mile. 11 seconds faster per mile than my plan, but also a variance per mile of almost a minute at my slowest. Pace yourself, don’t get caught in everyone else’s race. There’s a good chance I could have finished stronger. With only head torches and sound that your ears are becoming hypersensitive to, staying focused on moving forward, rather than looking back at a beam of light piercing the darkness, with no perception of distance, is hard. It doesn’t help you. Don’t run scared. I also dropped that place I fought hard to maintain with 3km to go. Places don’t count till you cross the line. As prep goes, I blew it. Driving down from Milton Keynes to Lyndhurst via Frome, I managed to grab breakfast, sit in traffic for 4 1/2 hours, grab a coffee at Break Fluid’s HQ and arrive 40 minutes before the gun. I was on empty! I normally consume a bagel, peanut butter and banana 2-3 hours before, taking my time to break it down rather than inhale it. I then sip Mountain Fuel Extreme Energy in the hour before, keeping hydrated and getting an energy top up. Running on empty, in the closing miles my stomach was grumbling, my spark slowly started to go out and the mental game it plays can become all consuming. You know it will be detrimental, but have no idea how much. Eat, drink, top up and take your time. Thanks Anthony from Break Fluid, that little cup was a life saver! On the Dark Series Hampshire course there were plenty of gates. Look where the hinges are. For most I was scan my beam across both sides as I approached, to increase the efficiency of getting through clean, breaking stride less, maintain speed and above, reducing time lost. But when it went wrong and I was stood on a fire road, shaking a main gate rather than pedestrian, with the image of a runner catching me; all I achieved was wasting time, frustrating myself and showing a fellow competitor what not to do. Keep calm, take your time, there’s no point getting stuck or injuring yourself for a couple of seconds gain. I needed the toilet on the trip down. Popping into Break Fluid, I was so conscious of time I didn’t think about it, and found myself driving through the New Forest in agony, cursing that I couldn’t find a secluded spot. In the end I found myself kneeling in a storm drain, having almost impaled myself in barbed wire, all to prevent an minor personal accident. For arriving 5 minutes later, don’t give yourself unnecessary pain or stress. It also could have really back fired in the race, when my internal system was under immense stress. When I heard at the race briefing the CP would be at half way and in the race, discovering it was 1.5-2 miles ahead of where I expected, rather than letting it go, I changed my mental distance from an 10.8 mile race to 8 miles…. Oh how that bit me hard. Trust the distance, the system, the organiser. Don’t try to be clever. I loved the race and if the series returns for 2018, aim to to race the series. 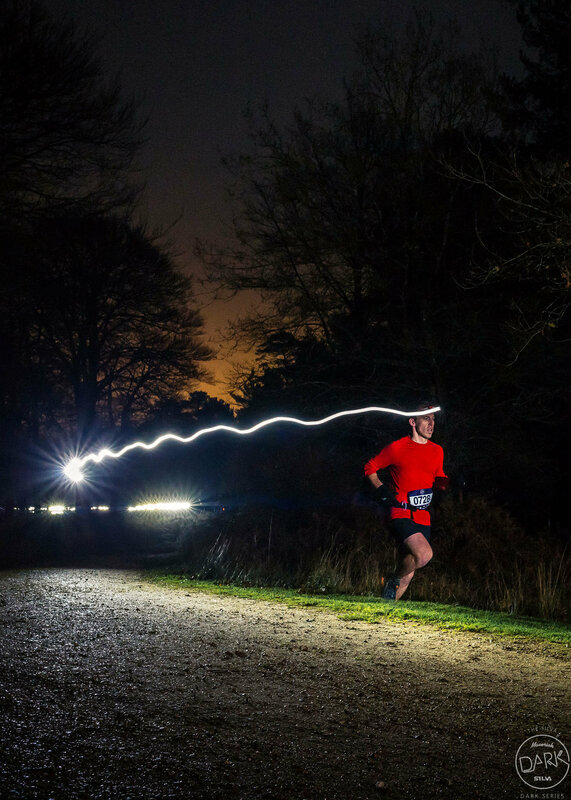 It’s easy to let the darkness take over and release control of your build up to race day. Don’t. Stay strong, it’s all in your stride.